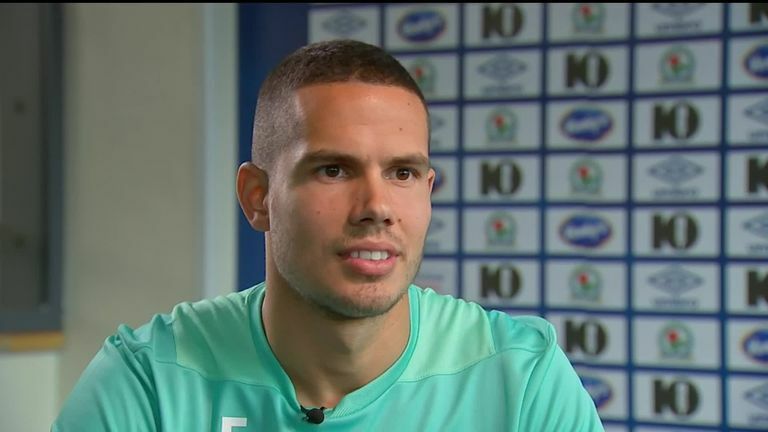 Jack Rodwell has joined Blackburn on a deal lasting until the end of the season. Former Everton and Manchester City midfielder Rodwell, who was a free agent after leaving Sunderland, is Blackburn manager Tony Mowbray's fifth signing of the summer. Rodwell had a trial with Watford earlier this summer and had been training at boyhood club Everton to maintain his fitness. "It is a great opportunity for me and it is a great opportunity to play football," Rodwell told Sky Sports News. "I just want to get out there and play as much as I can." Rodwell won the Premier League title during a two-year spell with City before joining Sunderland in 2014. The 27-year-old only managed 76 appearances during an injury-plagued spell on Wearside but he is ready to put that behind that difficult period behind him. Rodwell said: "You just stay strong and stay positive. At the end of the day we love playing football so that is the main thing. "I am doing something that I really love to do. It is a job but it is a hobby as well. I am in a privileged position but you just take the positives from it and move on now. It is onwards and upwards." The Southport-born midfielder had been earning £73,000 per week at Sunderland - a figure that was reduced to £44,000 after the club's relegation to League One in May. His contract was cancelled by mutual consent in June.